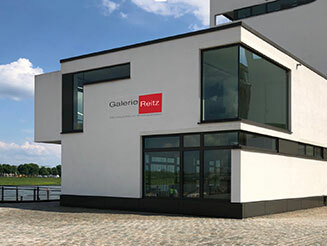 There are internationally established artists that are presented by Galerie Reitz. 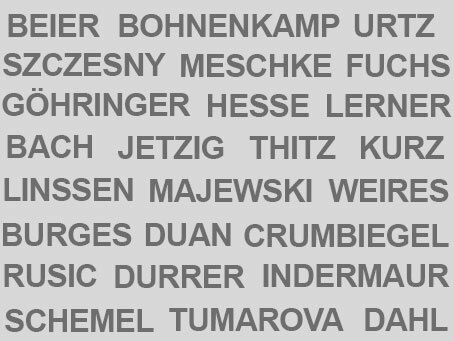 Their works can be found in notables collections, are shown on the main trade fairs such as art Karlsruhe, ART COLOGNE, Art Basel, Art Fair Amsterdam, SCOPE New York oder The Affordable Art Fair Hong Kong. Modern art in the Rheinauhafen : Just a fleeting glance into the exhibition rooms will make you want more. Owner and curator Angela Reitz works with internationally established artists – always on the lookout for new trends and interesting discoveries for collectors. 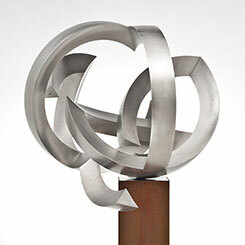 Her gallery represents a refreshing mix of styles, reflected by an expansive range of contemporary art.